Serving Romeo, Armada, Washington, Almont, Rochester, Shelby Twp, Macomb Twp. & surrounding communities. Professional repair of auto glass door windows, rear window, side vent windows or sunroof. At Romeo Auto Glass, our auto glass specialist carefully repairs your auto glass to ensure your safety. Providing in-shop and mobile services to Brooklyn, the 5 boroughs and Nassau county since 1994. Nobody knows auto glass repair like Romeo Auto Glass, that's why ALL major insurance companies recommend us. Our mission is to provide the finest quality auto glass repair and best possible service at the most competitive price. Your complete satisfaction is very important to us. Professional Auto Glass Replacement of Door Window, Sunroof, Side Vent or Windshield. At Romeo Auto Glass, our specialist will carefully replace your auto glass to ensure your safety. Providing in-shop and mobile auto glass replacement services to Romeo, Armada, Washington, Almont, Rochester, Shelby Twp, Macomb Twp. since 1994. Nobody knows auto glass replacement like Romeo Auto Glass, that's why ALL major insurance companies recommend us. Our mission is to provide the finest quality auto glass replacement and best possible service at the most competitive price.Give us a call today for a free quote on all of your auto glass replacement needs. 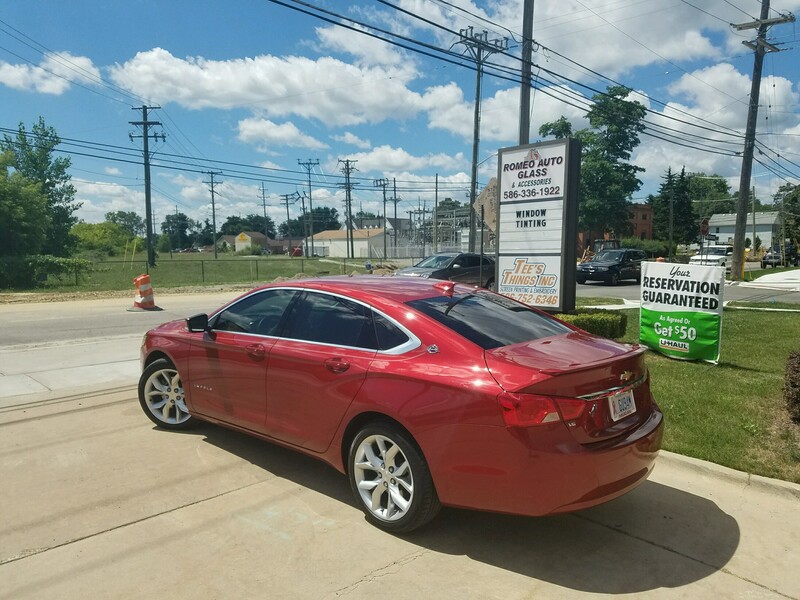 For your convenience we have a full service auto glass replacement shop or if you would prefer we can come to your home or place of business to replace your automotive glass. Our mobile auto glass replacement service fleet arrives at your doorstep with two technicians equipped with installation tools and materials for all off site auto glass replacement installations. We provide original and after-market replacement auto glass for your specific requirements. All of our auto glass pass the National Highway Traffic Safety Administration baseline standards. We service domestic or foreign cars, trucks, vans, or commercial vehicles. For your convenience we stock over 8000 pieces of auto glass and are open 7 days a week. Our facilities have a comfortable climate controlled waiting area furnished with plenty of seating area and T.V. Whatever your auto glass replacement need, the experts at Romeo Auto Glass are ready to help. Are You Looking For In The Best Window Tinting? Look no further. Contact us today to get a quick quote. 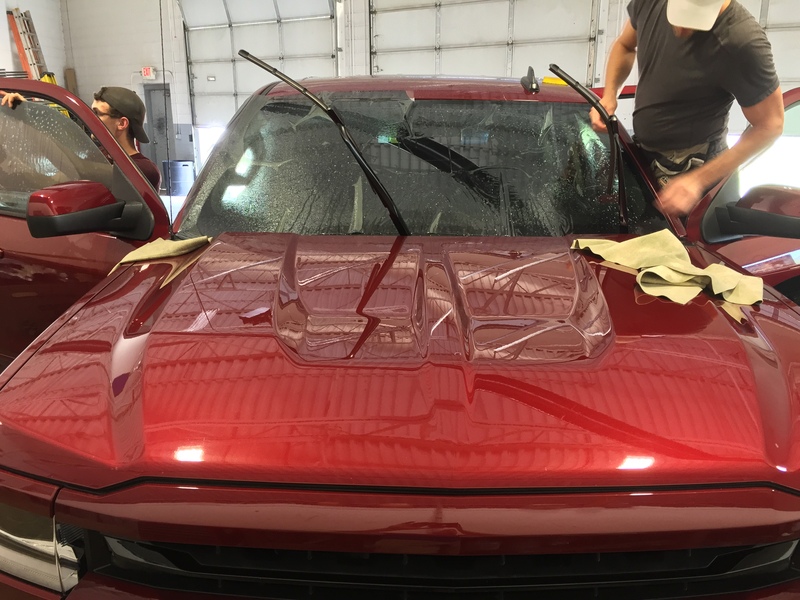 Romeo Auto Glass provides automotive glass replacement & repair, automotive window tinting, towing products with a full line of truck accessories. We have proudly serve Romeo, Armada, Washington, Almont, Rochester, Shelby Twp., and Macomb Twp., Michigan.